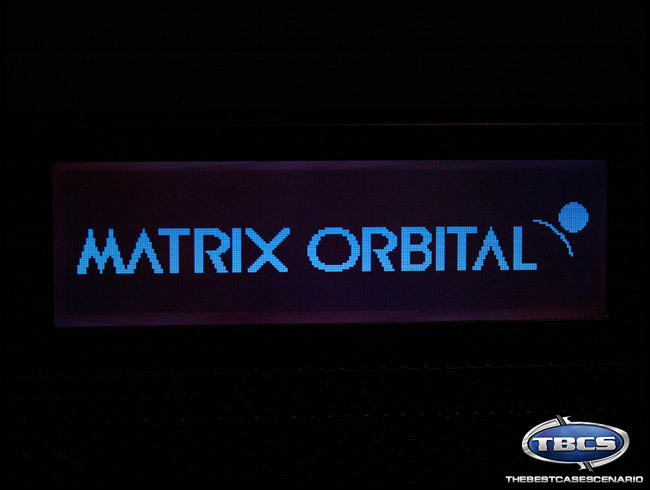 Matrix Orbital has been building LCD displays since 1995. Unknown for years in computer enthusiast circles, Matrix Orbital exploded into the community with their MX series of displays. 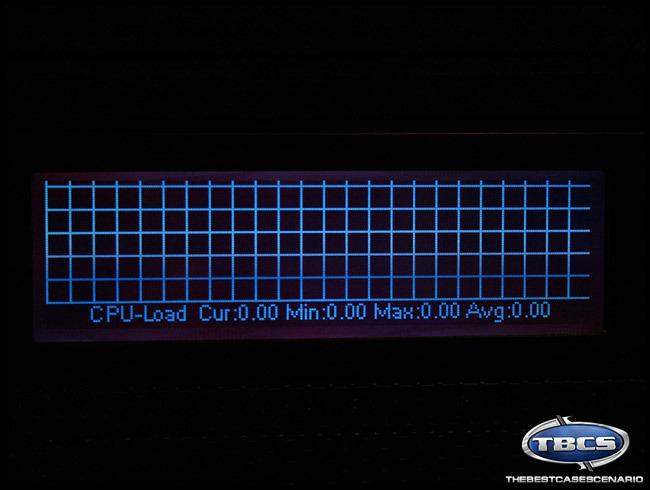 The GX Typhoon series soon followed and became one of the defacto small LCD displays PC enthusiast thought of when planning a case mod or scratch build. I recently had the chance to take a few weeks and play around with their latest offering. It was not that long ago that someone decided to take an LCD screen originally purposed for a popular gaming console and hacked it into the front of their computer case. This started a trend in the modding community. Everyone had to have a LCD incorporated into their build. Over the next few years manufacturers took notice and began developing their own stand alone LDC add-ons for PC cases. 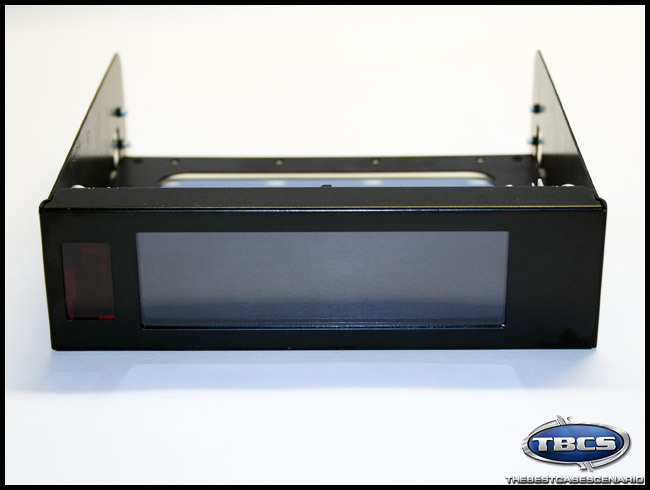 Leading this revolution is Matrix Orbital with their GX Typhoon series of USB LCD screens that fit in a single 5.25” bay. I contacted Matrix Orbital when I got news of their latest release in the GX Typhoon Series. They were kind enough to send me a sample of the GX Typhoon GX24064-TCI-BBI-MCE for review. 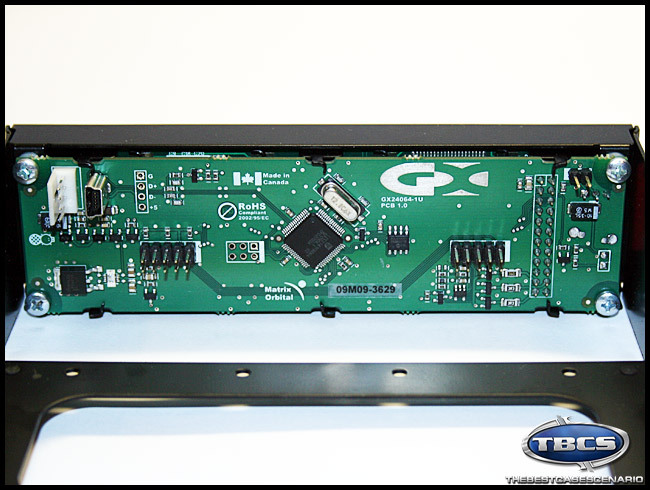 The GX Typhoon GX24064-TCI-BBI-MCE is a 240x64 Tri Color Inverse display that can display a back ground color of more than 150 Preset color options or any color throughout the 32 bit color range. Here is a sample I put together of some of the different color options. Off to the side of the actual display is an IR receiver that will allow you to use a MCE remote to control any one of the various Media Center applications out there. As you probably guessed the MCE at the end stands for Media Center Edition all this means is that Matrix Orbital bundled this model with their MCE remote. 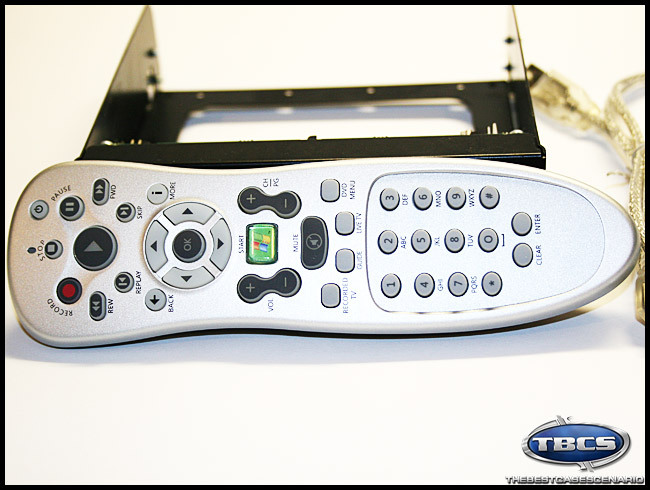 If you already have a MCE remote you can save a few bucks and order the GX Typhoon GX24064-TCI-BBI which comes without a remote. Package contents of the GX Typhoon GX24064-TCI-BBI-MCE kit. 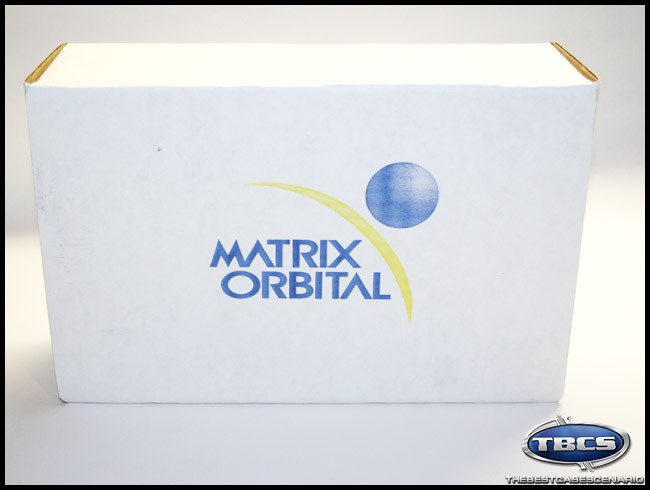 Matrix Orbital includes everything you need to get set up and displaying a plethora of information on their screen. 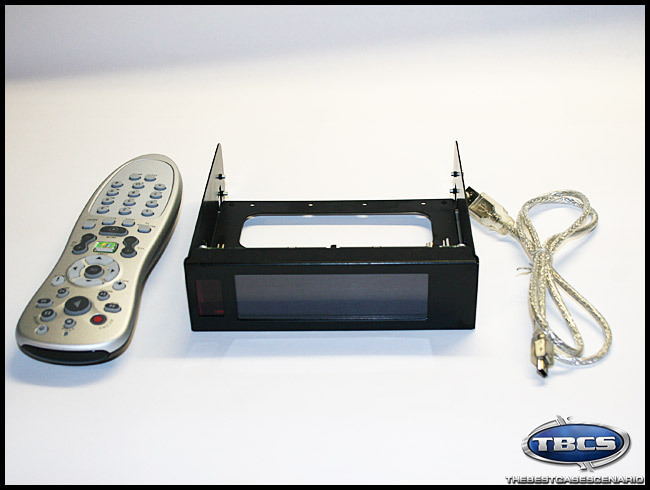 Included is the GX Typhoon GX24064-TCI-BBI Display, a 3 foot external A-B Mini USB cable (a Mini USB to internal header cable can be purchased from Matrix Orbital distributors for those of you wanting to install the display using the internal USB headers), and an MCE remote. 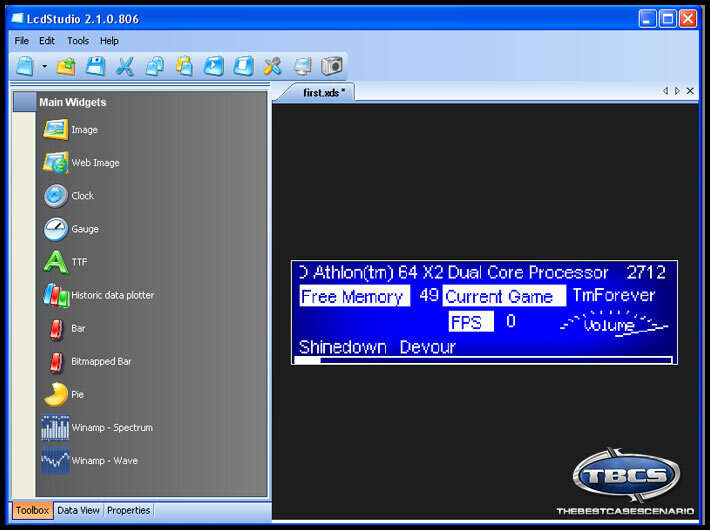 Matrix Orbital does not include the software disk with their displays, but worry not as they provide the complete software pack as a download on their site. This allows Matrix Orbital to keep cost down while always providing the most up to date drivers and software with their products. You can download the full software pack along with installation instructions here. Installing the actual display and the drivercore is pretty straight forward so I will not cover it here. 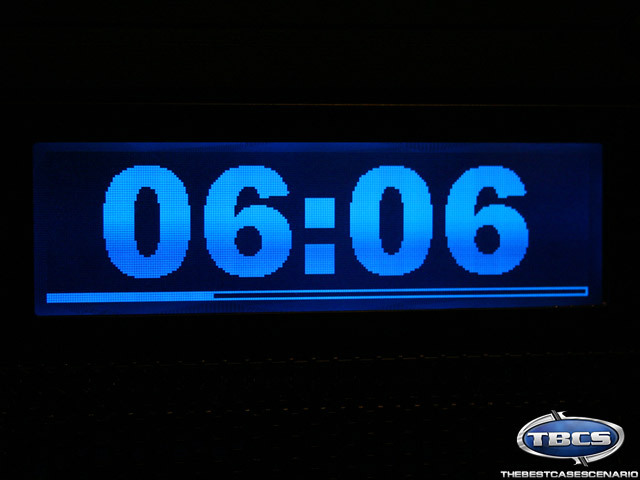 What I would like to talk about is the LCD Studio software that allows you to actually use the display. In the old days of modding an LCD into our cases we had to control everything with custom code that accessed the LCD display via a parallel or serial port. Trust me when I say that those were not fun times. Sometimes it worked and sometimes it didn’t. Now with USB interfaced LCD displays and programs like LCD studio, adding a LCD display to your case is as easy as installing an optical drive. 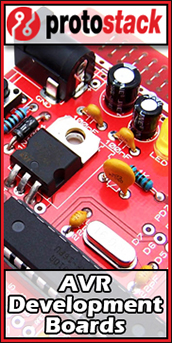 LCD Studio is a program that creates an easy to use interface that allows you to create the designs and functions of your new LCD display. There is an excellent tutorial on using LCD studio here so I will not attempt to reinvent the wheel. Each plug-in has tons of options. 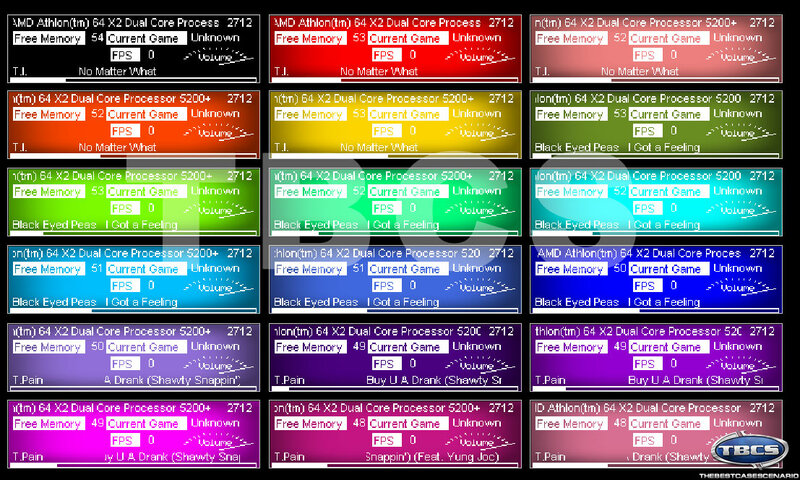 The coolest feature of LCD studio is all of the plug-ins it comes with. Everything from a plug in that will display info from ATI tool to what song is playing in Winamp. 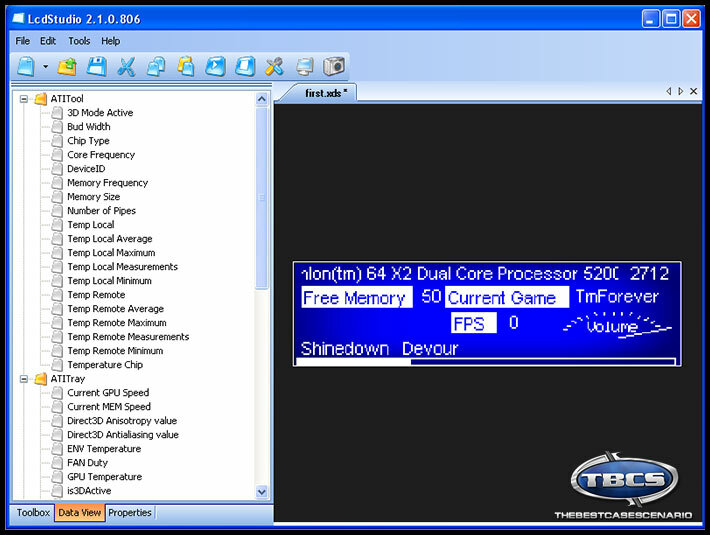 It had plug-ins to display system information such as free disk space, cpu usage, free memory or even network connection speed. You could literally build a display playlist that would display every single bit of important information that your computer is capable of displaying. LCD studio also supports animations via .gif files. I have had some trouble getting animations to display right but that is because I have not played around with them much. Matrix Orbital hit the nail on the head with this display. The display is crisp and viewable from all but the most extreme viewing angles although for the most vibrant color you will want to be within 30 degrease of the center of the screen. The display installed quite easily in my Cooler Master Storm Sniper case, and was operational in under 5 minutes including downloading and installing the drivers and software. 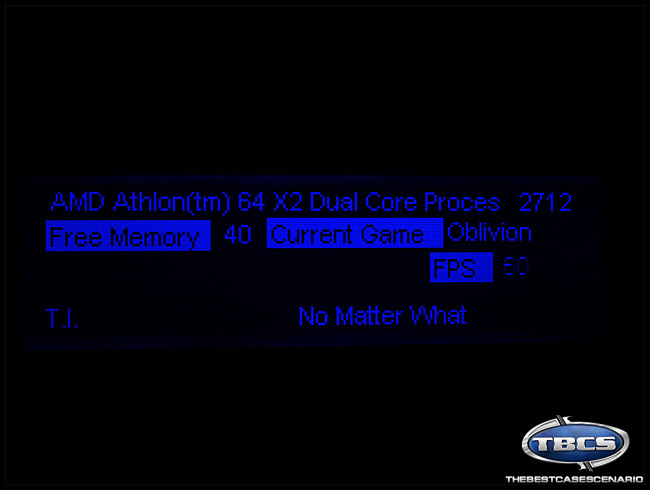 I can see the Matrix Orbital GX Typhoon GX24064-TCI-BBI quickly becoming a staple in the modding community as well as computer enthusiast who just want to display their PC’s information. I would recommend this display to anyone looking to make their case stand out from the crowd at the next LAN event or those who are planning the next great case mod. 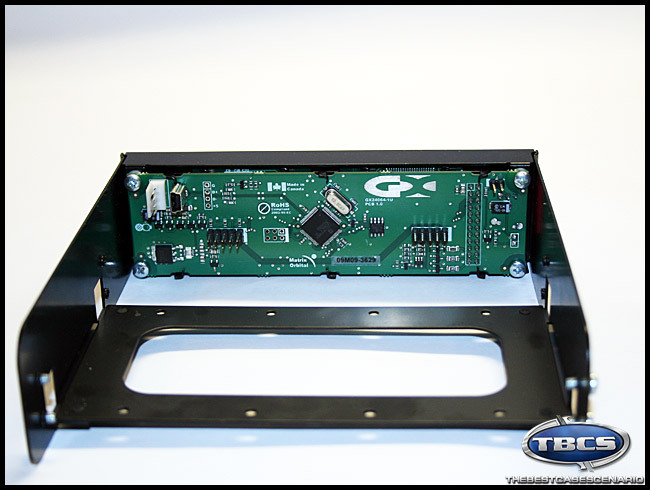 I am giving the GX Typhoon GX24064-TCI-BBI our highest ranking of 5 out of 5 stars. 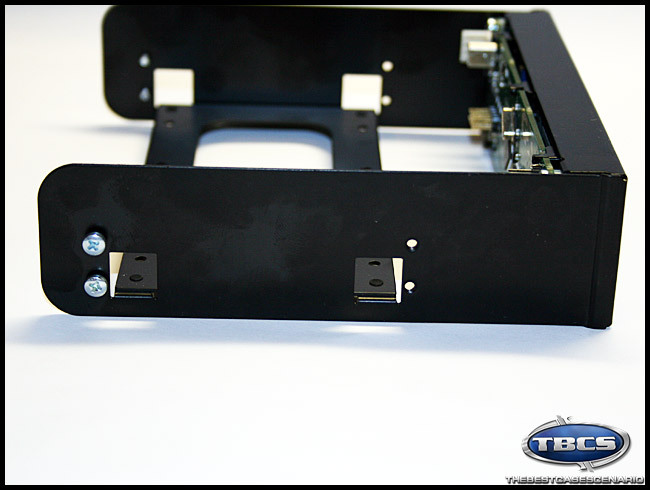 The Matrix Orbital GX Typhoon GX24064-TCI-BBI-MCE can be purchased at online retailers for around $120.